When Professor David Ullman, an expert on demonic literature, is offered an all expenses paid trip to Venice, under the conduction that he witness a “phenomenon”, his life is truly turned upside down. Although reluctant of the unusual offer, he accepts, welcoming a distraction from the chaos of his everyday life. His marriage is falling apart and he suspects his twelve year old daughter, Tess, is developing early signs of depression. A father-daughter trip to beautiful Venice might be just the thing they need to cheer them both up. Of course, the offer was too good to be true, and whilst in Venice, things quickly take a turn for the worse. The “phenomenon” comes in the form of a man restrained to a chair, muttering and thrashing around, showing signs of being possessed. David, a skeptical man, has built his academic career on picking holes in religious and demonic texts and just as he is ready to dismiss the spectacle as simply a man who is insane, the voice of his dead father is channeled, repeating the last words he ever said to his son. Demons, murder and mystery is what’s next in store, as David frantically tries to solve paranormal riddles in an attempt to rescue his daughter. John Milton’s Paradise Lost is quoted throughout and offers clues to the developing mystery. The Demonologist follows David’s story as he transforms from being a skeptical and rational man, to following a deep dark passage to save his daughter from the Underworld. Although rich in interesting plot turns, what let this book down was the bland writing style. Descriptive words were not used often enough, and unfortunately this book was not as unsettling as it could have been. I also found myself struggling to read through some of the dialogue as David would often reel off passages from Paradise Lost and offer academic analysis, and although interesting, I found it difficult to believe that people would naturally communicate that way in real life. David just witnessed his daughter hurl herself off a building, I doubt anyone who saw something so horrific would be able to fully construct sentences, let alone perfectly recite the work of Milton. The ending also seemed rushed and unfinished, but I did enjoy the varied amount of plot twists. 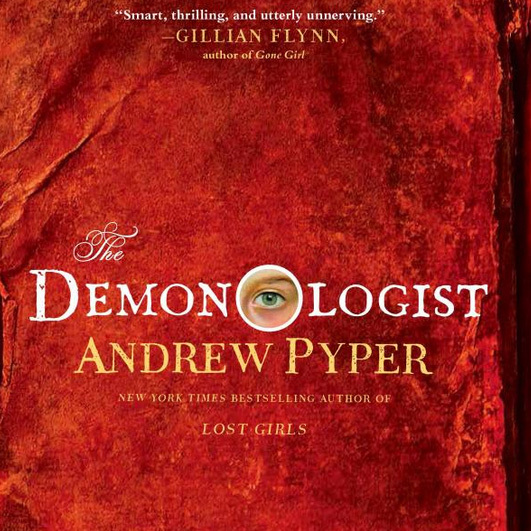 Despite this book failing to fully unnerve me as a reader, I think that The Demonologist could work well as a film. The right use of music, suspense and timing would completely transform this story into the gripping horror story it could have been. 5/10 – Could be a great film, but not quite unnerving enough as a book.